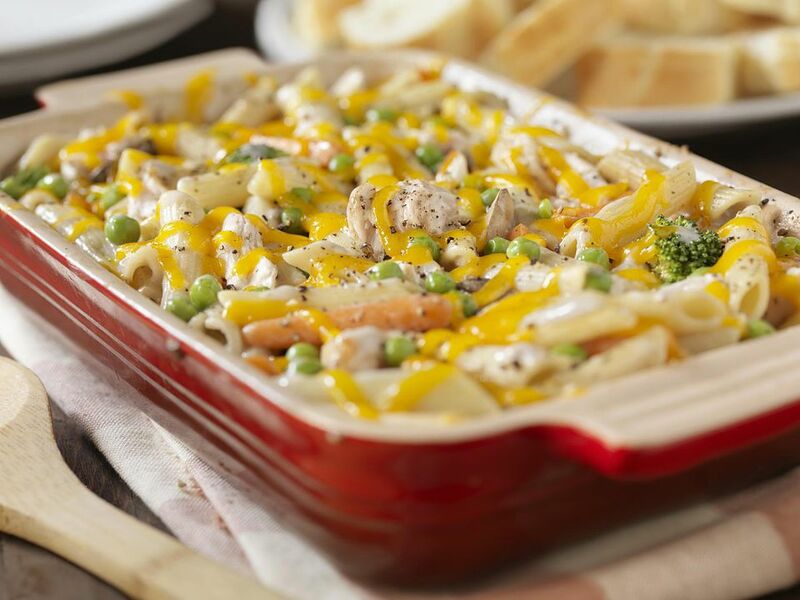 This super easy and delicious ziti chicken casserole main dish recipe uses only five ingredients. You could also use penne or mostaccioli pasta in the recipe. In a large pot, cook ziti as directed on package and drain well. Combine all ingredients except Parmesan cheese and spoon into a greased 2-quart casserole dish.